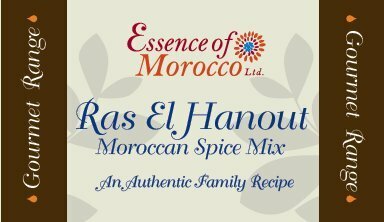 Using an authentic family recipe inherited over many generations, Essence of Morocco ® Ras El Hanout Moroccan Spice Mix has been carefully blended using 14 of the finest quality freshly ground spices, including saffron and Moroccan rose petals, giving dishes a distinctive luxurious Moroccan aroma. Winner Great Taste Awards 2015. 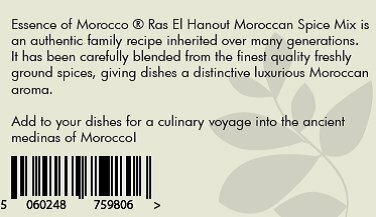 Add to your dishes for a culinary voyage into the ancient medinas of Morocco! 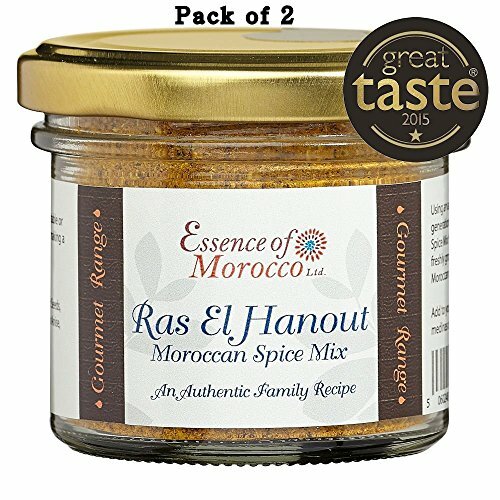 Use to flavour couscous, tagine, meatballs and vegetable or meat dishes. 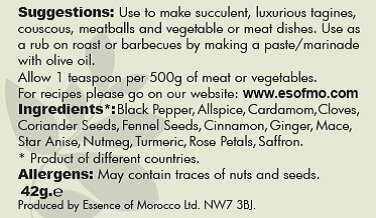 Use as a rub on roast or barbecues by making a paste or a marinade with olive oil.